Take the time to appreciate your beloved. Express your love in words and deeds. If you don’t, you may lose him or her, to someone else who shows appreciation and love. When you become complacent, and think that your companion is happy and will not want anyone else’s love and caring, you may be wrong. That is when a relationship breaks or fails. 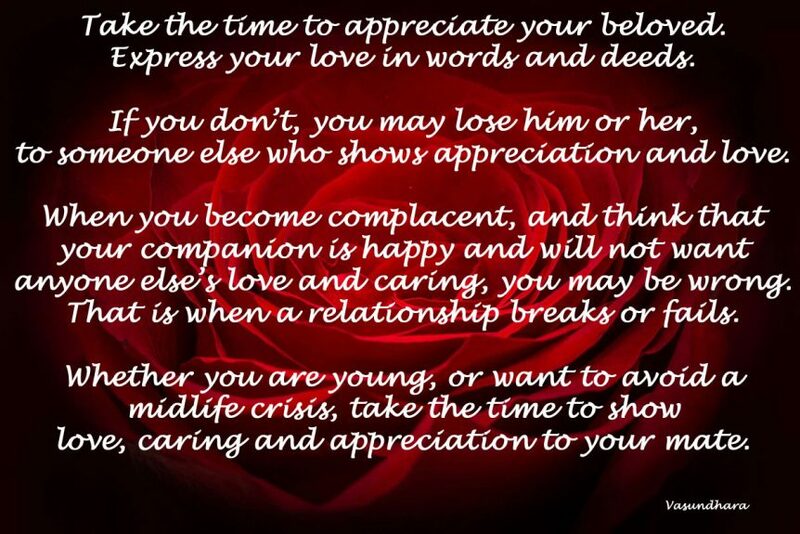 Whether you are young, or want to avoid a midlife crisis, take the time to show love, caring and appreciation to your mate.